There is a side to being a young LGBT2Q+ person that is rarely discussed, and that is the struggle of homelessness. Between 25 and 40 per cent of young homeless people in Canada are LGBT2Q+, and similar statistics exist in the United States. So why the hell hasn’t anyone talked about this at a pride parade for the past 10 years that I have been attending them? Why is there so much focus on marriage rights, or the right of transgender people to wear uniforms in far-off lands, while so little attention has been given to the urgent and potentially life-saving need for housing? The reason is simple. The LGBT2Q+ movement is, for the most part, integrated in the liberal order. Part of this order is the idea that our collective discrimination will be abolished by our capacity to be non-threatening to a certain set of mainstream values. The fact that “gay” has become something of a commercial brand (as proven by the amount of sponsors pride parades get in major cities) explains why mainstream LGBT2Q+ organizations will never focus on one of the most brutal manifestations of queer misery: homelessness. It is a serious misconception to imagine homophobic people as being white losers from rural areas, and not the multi-cultural board of a real estate firm that makes money off apartments and houses, whether they’re empty or not. There are 1.3 million empty houses in Canada, enough to house every homeless person in the country. Meanwhile, we are still hearing stories of frostbitten homeless people closing their eyes for one last time in downtown Vancouver, or someone being burned alive in a makeshift shelter in Toronto. Homeless deaths, which include many LGBT2Q+ deaths, are already in the dozens this year in Toronto alone, the only Canadian city to keep track of its homeless population’s deaths. For anyone who wants to be serious about ending discrimination based on sexual orientation, the way to address this problem is clear: homeless people must be relocated to empty housing units for free. Tenants must organize to defend their rights and impose rent reductions on landlords. 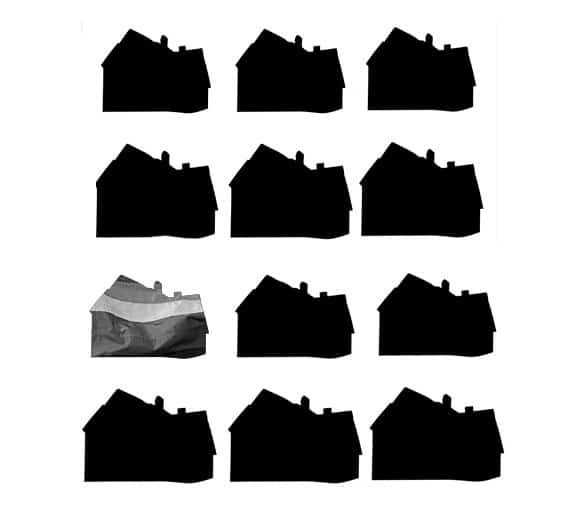 The LGBT2Q+ movement must accept its responsibility in the political struggle of ensuring decent housing for everyone. And let me be clear – we must not resume our methods of patient lobbying and wait for the state to take action. Stonewall wasn’t a garden party. Empty apartments and houses can and should be occupied; rent strikes can and must be organized. These actions have clear political consequences. Pursuing them sufficiently means burning all bridges with corporate and “respectable” members of the queer community. It means that Pride must stop being a parade and become a confrontation of the state and of capitalism. It also means that the LGBT2Q+ movement must accept that the fight for housing is bigger than the queer milieu. Only through the recognition that human dignity is for all can our emancipation be meaningful. The only viable option for queer liberation is through radical transformation of the current society.